A flexible structure that modifies itself with the wood's pressure - an elastic body reaching upward with an irregular line. Design by Ak47. 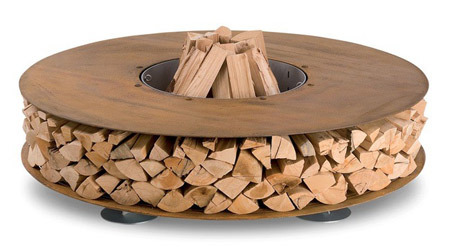 Radius firewood trolley is designed for either inside or outside use. 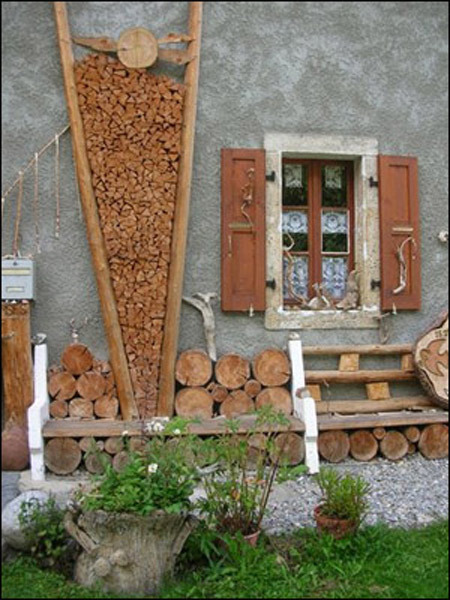 Something attractive to keep the firewood indoors…. Like a flame, a living body that flickers and burns, Flex, is a shape in continuous elastic movement. 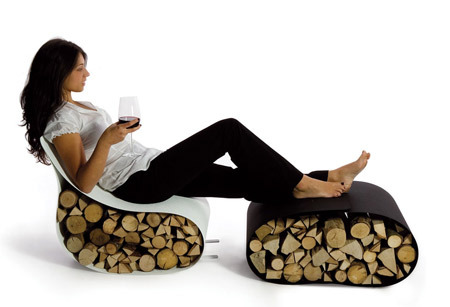 It lies peacefully down, enclosing wood, books or magazines in an embrace, or arches delicately to become a seat - its curves change direction to receive a tired passer-by. 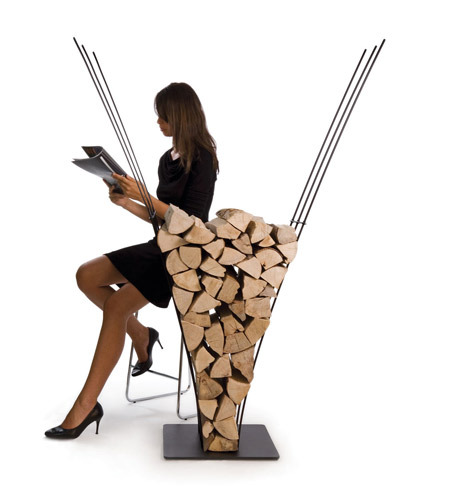 The most eye-catching designs come from Ak47 in Italy. 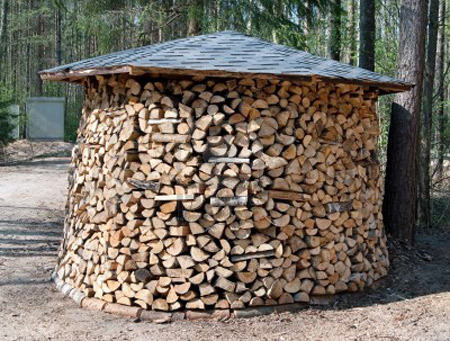 This is a contemporary firewood storage idea. In a space with such tall ceilings, it made sense to store it in a vertical fashion, which drives our gaze upwards to appreciate this feeling of space. 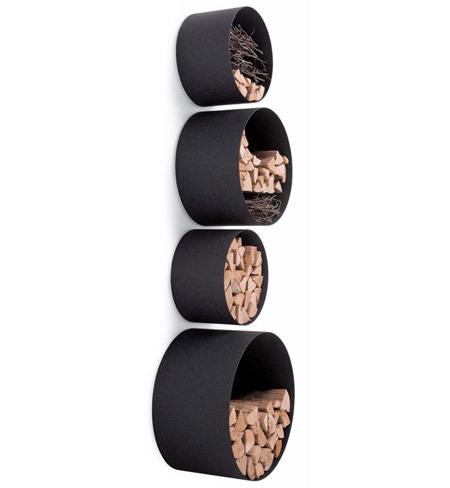 Intelligently, the storage space is separated with angled shelves in a zigzag pattern. 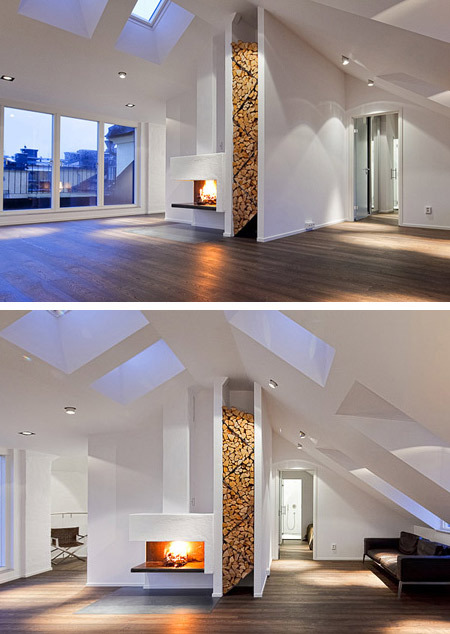 It looks amazing and it's functional - perfect. 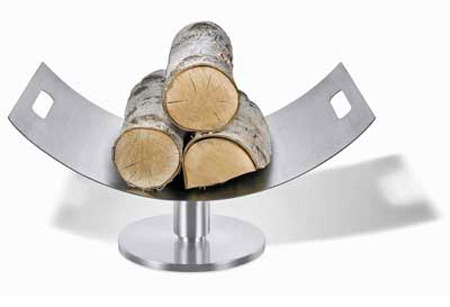 The Stainless Steel Zack Alon Firewood Storage Rack is a unique design; its modern charm and elegance capture the true essence of modern interior design. 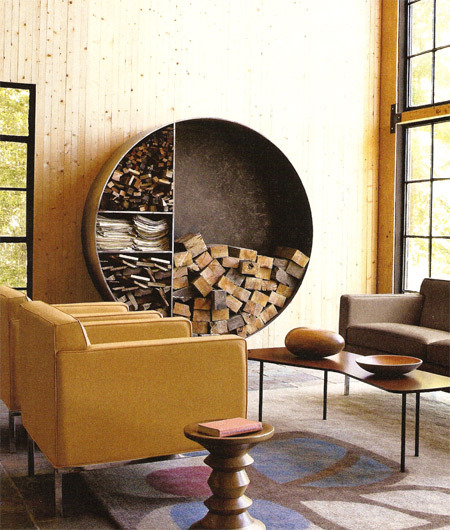 These built-in cabinets combine a wood fireplace with firewood storage, offering an interesting idea for small spaces without sacrificing comfort or style. It features large dark glass-fronted closets with gleaming brushed stainless steel hardware for a clean, contemporary design. 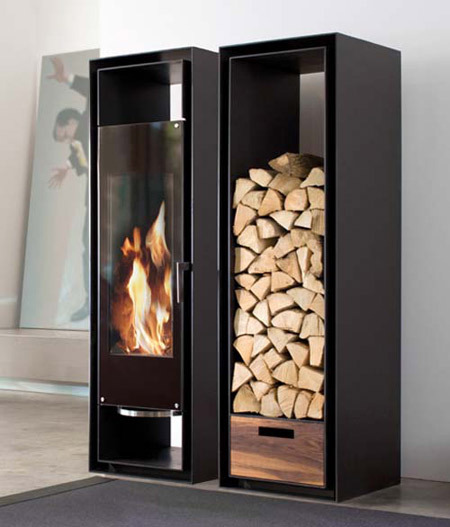 The Zero Fireplace combines modern design and a rustic aesthetic with ingenious firewood storage. 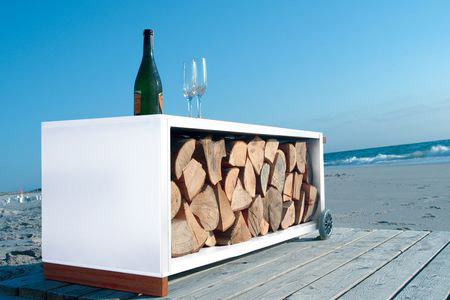 This version combines an elegant outdoor wood fireplace with clever storage. 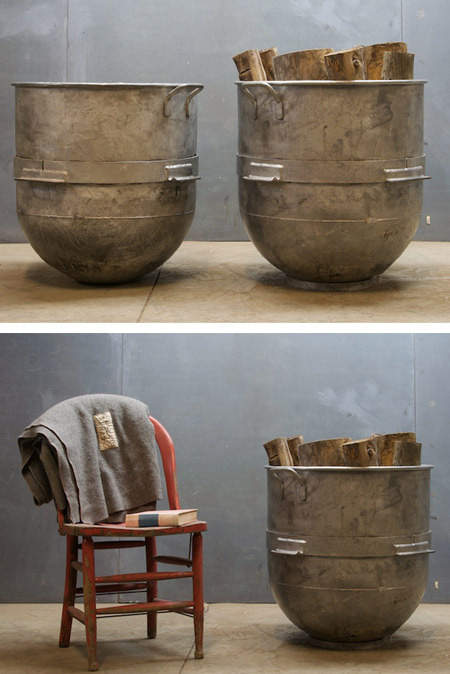 Delightfully practical, the storage area adds to the product's aesthetic appeal.